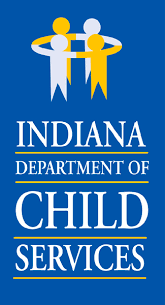 (Richmond, IN)--The number of substantiated cases of child abuse and neglect in Wayne County is on pace to far exceed last year’s total, according to the Indiana Department of Child Services. In the first 11 months of 2016, Wayne County had 319 new, substantiated cases of child abuse and neglect. That’s up 17% from the same time last year. There were 40 new cases reported just in August of this year, when school started. The vast majority of cases involve neglect, not physical or sexual abuse.